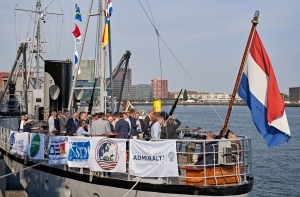 The Port of Rotterdam, has hosted an international group discussion on standardised data definitions for the worldwide exchange of nautical information. There was a higher turnout than expected with the industry’s leading international players attending. Standardisation of shipping information is crucial to making more efficient use of sea-going vessels and reducing emissions. In recent years, the international Port Call Optimisation Taskforce has considerably advanced the introduction of international standards for nautical information. The Taskforce combines the forces of international companies, sea ports and organisations. This year the functional definitions - unambiguous names covering matters such as depth and estimated time of arrival - established last year will be published in the Mariners Handbook of the United Kingdom Hydrographic Office - an official reference book that is kept on the bridge of every vessel. The next step is to set out data definitions for the transmission of information. 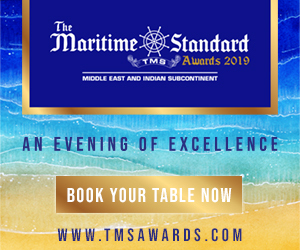 This was given the green light during a workshop held in the Port of Rotterdam at the initiative of the International Port Call Optimisation Taskforce, Sea Traffic Management (STM), European Harbour Master Committee, United Kingdom Hydrographic Office and GS1.